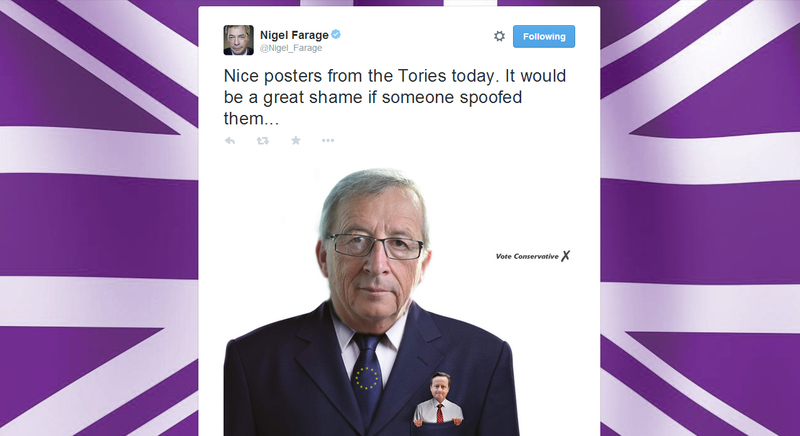 Nigel Farage, UKIP’s leader tweeted a brilliant spoof of the new Conservative Party poster. It features David Cameron sitting in the top pocket of Jean-Claude Juncker, the current President of the European Commission. It’s relevant, timely and well-crafted – 3 factors that contribute to a brilliant piece of reactive political advertising. Well played Nigel, well played.